Cat6 Cables - Made in USA There are 11 products. Cat6 Patch Cables, Blue, TAA/BAA Compliant, Frequencies up to 550MHz, with Snagless Boots. Cat6 Patch Cables, Green, TAA/BAA Compliant, Frequencies up to 550MHz, with Snagless Boots. 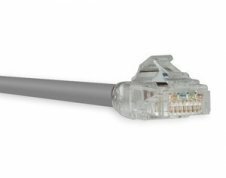 Cat6 Patch Cables, Grey, TAA/BAA Compliant, Frequencies up to 550MHz, with Snagless Boots. Cat6 Patch Cables, Light Green, TAA/BAA Compliant, Frequencies up to 550MHz, with Snagless Boots. 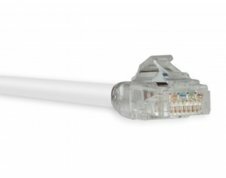 Cat6 Patch Cables, Orange, TAA/BAA Compliant, Frequencies up to 550MHz, with Snagless Boots. Black CAT6 Patch Cable | Premium Black RJ45 Network Cables With Snagless Boots. CAT6 snagless gigabit computer network cables, proudly made in the USA. Reliable, TAA/BAA compliant, high quality patch cables that meet or exceed all EIA/TIA-568-B-2.1 standards with gigabit data transmission up to 550MHz. Cat6 Patch Cables, Pink, TAA/BAA Compliant, Frequencies up to 550MHz, with Snagless Boots. Cat6 Patch Cables, Purple, TAA/BAA Compliant, Frequencies up to 550MHz, with Snagless Boots. Cat6 Patch Cables, Red, TAA/BAA Compliant, Frequencies up to 550MHz, with Snagless Boots. Cat6 Patch Cables, Yelloe, TAA/BAA Compliant, Frequencies up to 550MHz, with Snagless Boots.